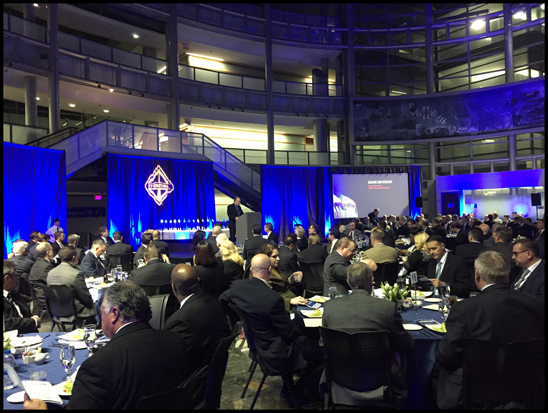 LISLE, Ill. (February 14, 2019) – This week, Navistar recognized 35 of its top-performing suppliers with its annual Diamond Supplier Awards. Exclusive to the top two percent of the company’s supplier base, this select group has helped Navistar deliver uptime to its customers and has exceeded performance expectations in four key metrics: quality, delivery, technology and cost. 2018 was a significant year for Navistar; marked by its re-entry into the Class 4/5 market with the International® CV™ Series, increased market penetration for the International® A26 engine and continued growth in market share for its vehicles. Much of this success can be tied to the close partnerships the company has with the suppliers it is recognizing with this award. The Diamond Supplier Award recognizes suppliers from all around the world in a variety of industries; including freight and engineering services, electronics, powertrain and chassis components and advanced safety systems. This year’s Diamond Suppliers also include a diverse group of companies owned and operated by women, minorities and veterans. DEXO Transportaciones S.A. DE C.V.
Express Packaging of Arizona, Inc.
HG Transportaciones S.A. DE C.V.